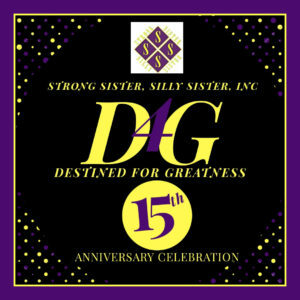 The Strong Sister, Silly Sister, Inc. (SSSS), 501( c)(3) non-profit organization’s goal is to encourage ethical behavior, academically, socially, spiritually, and professionally. The primary focus of the program is for African American young ladies. The program is opened to all first-year college and university young ladies to achieve academic success by choosing the right life brand, being their best self and impacting others to do the same. The interactive student-driven program increases knowledge on leadership, faith, sisterhood, health, appropriate sexual conduct, healthy relationships, appropriate dress for school, party and work. This is a great program and really helped me reflect on myself and how to be a better person. I’m sitting here thinking if this program didn’t exist, where would these young women get all this great information? Yes, it is very needed. It is needed to help build community between female students at Purdue. It helps provide a forum that is not located anywhere else on Purdue’s campus. The SSSS program is a great way to bring women together and to inspire them to succeed academically, socially, emotionally, and mentally. All young women need that safe place that is open, honest, true, genuine, and similar (women). We need to empower, grow, and learn one another. It’s a small group of African American women on this campus I feel will benefit personally and academically with this event. It is empowering and inspiring. Loved the variation of ages of facilitators; Having peers help conduct this event made me want to listen more. Strong Sister, Silly Sister, Inc.
© 2018 Strong Sister Silly Sister. All Rights Reserved.